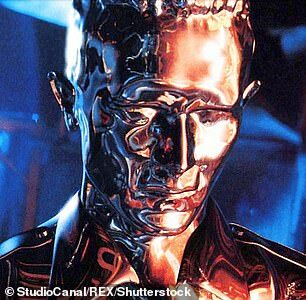 A new host of liquid metals that have applications towards soft robotics are making movies like ‘The Terminator’ transcend make-believe. Researchers say experimental liquid metals like gallium and other alloys, when supplemented with nickel or iron, are able to flex and mold into shapes with the use of magnets. For one, it can stretch vertically, unlike previous versions. Secondly, the substance is able to be manipulated outside of water using magnets. First, prior substances could only stretch horizontally due to their high surface tension, making them severely limited in terms of mobility. Secondly, the prior substances could only be manipulated when completely submerged in water. If removed from liquid, the substances turned into a kind of paste, researchers say. New advancements, however, have made strides in solving those two issues. 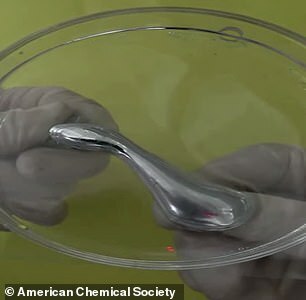 By adding iron and nickel to gallium as well as a tin alloy immersed in hydrochloric acid, researchers say they were able to drastically reduce surface tension and subsequently stretch the material to four times its resting length. 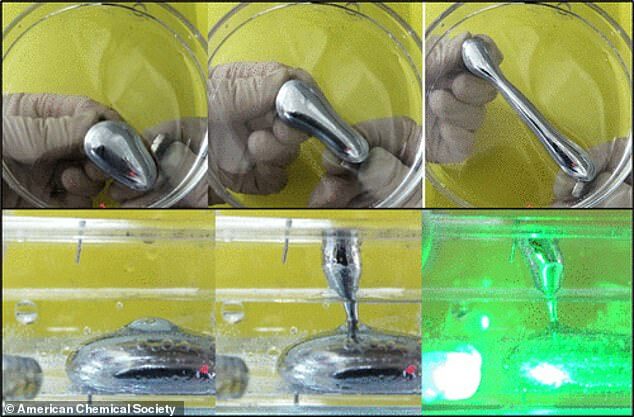 The material — tested while submerged in liquid — also showed conductivity by connecting two electrodes and lighting up an LED bulb. Researchers found that the metal also crossed another hurdle, it was capable of connecting to an electrode positioned vertically above the metal, outside of the water without turning into a paste. Though the demonstration is quite a ways from fully mimicking the movies, the researchers paper, published in ACS Applied Materials & Interfaces says their discovery could be a first step. ‘This… presents a fundamental and promising platform for the liquid metals to further develop,’ reads the paper.